> Threads and Wires>Threads>Ready made necklace base. Ready made necklace base. There are 9 products. Spring green 3 strand necklace. 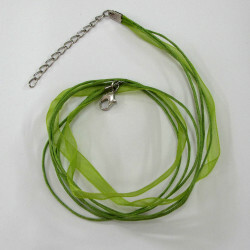 Spring Green 3 Strand Necklace. Approx. 48cm Long with Extension Chain. Golden 3 strand ribbon necklace. 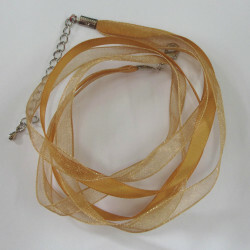 Golden 3 Strand Ribbon Necklace. Two Strands are Organza Style and 1 is Satin Style. 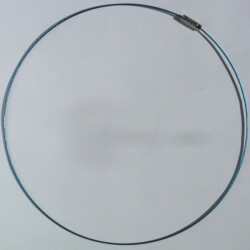 Overall Length with Extension Chain Appprox. 48cm. Ready Made Choker Necklace, Antique Silver Coloured, With Screw Fastening, Approx. 15 cm Diameter (6 inches). Ready Made Choker Necklace, Kingfisher Blue Coloured, With Screw Fastening, Approx. 15 cm Diameter (6 inches). 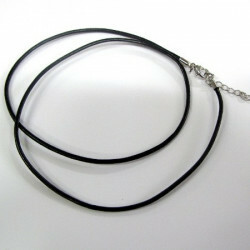 Ready made choker necklace, black coloured. Ready Made Choker Necklace, Black Coloured, With Screw Fastening, Approx. 15 cm Diameter (6 inches). Ready made white faux suede necklace. 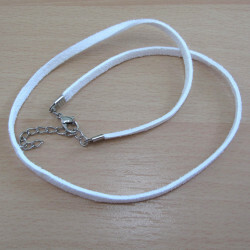 Ready Made White Faux Suede Necklace. Approx. 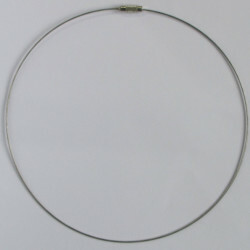 48 cm with Extension Chain. 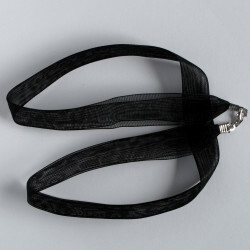 Pack of 3 black leather necklets. 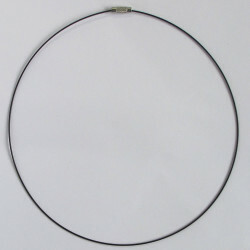 20"
Black leather necklets, pack of 3. Approx 20"
Ready made red faux suede necklace. 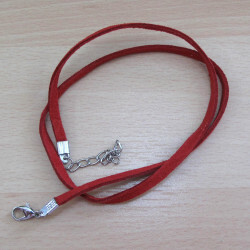 Ready Made Red Faux Suede Necklace. Approx. 48 cm with Extension Chain. Black Organza Double Strand Necklace with Sterling Clasp, Approx. 44cm (16 inch) Long.